Looking for rollers for sliding doors? 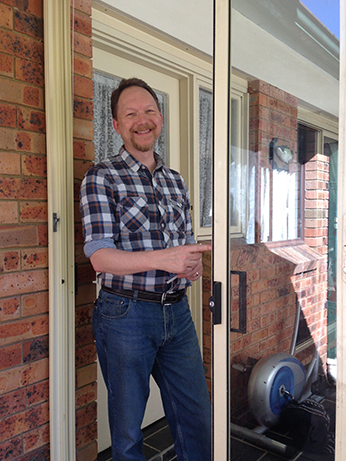 Call the Sliding Door Doctor Australia™ for excellent workmanship and results. In fact, after most jobs, our customers are able to slide their repaired door with just one finger! Rollers for sliding doors do malfunction or become damaged after a period of time due to regular use as well as natural wear and tear. It’s common that rollers for sliding doors are installed incorrectly resulting in a door that not only doesn’t slide as it should but potentially becomes a safety hazard resulting in smashed glass. It’s incredibly important to replace the rollers on your sliding doors the moment you start to notice any issues. The Sliding Door Doctor Australia™ team are proud of their service time (typically speaking, most sliding door repair jobs are able to be completed within 1.5 hours), and are happy to guarantee their work with a generous 3 year warranty. The versatile Sliding Door Doctor Australia™ team’s service area includes Sydney, Melbourne & Brisbane the Blue Mountains, Central Coast, Gold Coast. We’re committed to delivering quality results and excellent customer service. We also guarantee that our service vehicles will arrive on the job site fully stocked with industry leading rollers, track covers, and parts to ensure that downtime is kept to a minimum and that the job is handled successfully the first time. Our team will always be patient, punctual & courteous. Our technicians will always be fully trained & experienced. All our parts and labor come with a 3 year warranty. Regardless of the scope of your sliding door repair, if you want the very best rollers for sliding doors and a trustworthy installation team, call the Sliding Door Doctor Australia™. To talk to a technician now about your sliding door and get a free quote please call Sydney 0478 166 575, Melbourne 0431 884 156 or Brisbane 0431 126 590. If you’d like a quote via email please visit our contact page.